Barcelona forward Malcom is reportedly a transfer target for Chinese Super League outfit Guangzhou Evergrande. According to Sport, Barcelona's South American transfer advisor Andre Cury has suggested the possibility of the Brazilian moving to China. The Blaugrana have done business with Guangzhou recently, signing Paulinho in the summer of 2017 before the CSL outfit brought him back ahead of this season. It's noted that Cury was crucial in Malcom arriving at Barcelona in the first place, as he helped broker a deal between the La Liga side and Bordeaux. The winger appeared poised to join Roma before the Blaugrana swooped. Since making the switch to the Camp Nou, things haven't gone well for Malcom. 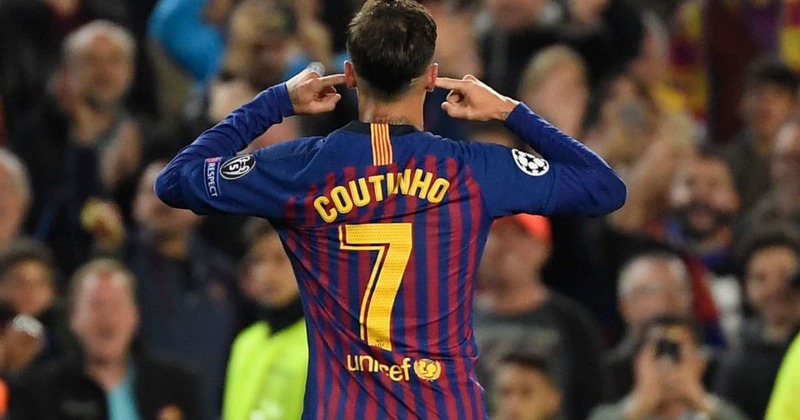 So far this season he's started a solitary La Liga match and has played 30 minutes of UEFA Champions League football; he did come off the bench and score against Inter Milan in a 1-1 draw. He featured from the start Wednesday in Barcelona's Copa del Rey showdown with Cultural Leonesa although was dealt another blow after suffering an ankle injury. He'd earlier impressed and scored, nodding home an Ivan Rakitic cross. Barça forward Malcom out for 10-15 days with an ankle sprain. Moving to Barcelona, the tyro would have been aware of the stiff competition for places in the forward positions, with the likes of Lionel Messi, Luis Suarez, Philippe Coutinho and Ousmane Dembele battling for spots. However, Malcom would have expected more opportunities than what he has been handed. After all, the fact he's spent so much time on the periphery of the squad appears to have been a catalyst for speculation regarding his future. While Guangzhou do have a number of Brazilian players in their squad—Paulinho, Alan Carvalho, Anderson Talisca and Ricardo Goulart—it would be a big surprise if Malcom was to make a move to China at this point. Although things haven't worked out for him at the Camp Nou, only months ago he was considered one of the best young prospects in the game. If he was made available by Barcelona, then there would surely be high-profile clubs across European football that would be open to signing him. Malcom will no doubt be keen to make a success of his time with the Blaugrana, but speculation surrounding his future doesn't appear to be dying down, and regular minutes appear unlikely to materialise ahead of the January window.